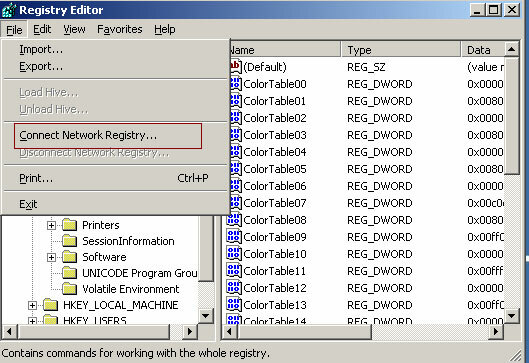 You can access Registry settings of a remote host using REGEDIT utility. This method is useful when you are unable to RDP to the target host. 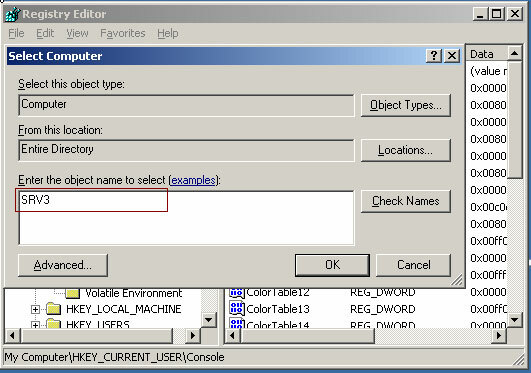 Use below steps to access the registry settings of a target computer. 1. Login to the source machine. 3. This will launch the Registry Editor utility. 5. Type in the name of the target computer in the pop up window and press ok.
6. If Target computer is not completely out of network, the Registry settings will be loaded. 7. Now, you can use the Registry of remote computer to diagnose and troubleshoot the issue. 8. Make sure that you have taken a backup of Registry settings before editing. Instructions are HERE.